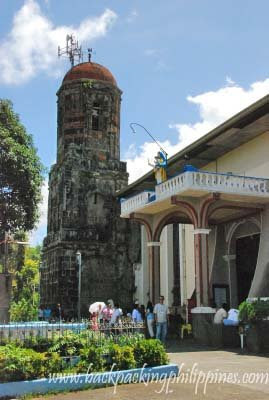 Going on a "bisita iglesia" tour around Rizal province and Laguna via the so-called Laguna Loop? Here's a snippet, names and suggested itinerary for your reference. Traditional Visita Iglesia during Holy Thursday requires visiting seven churches possibly has its roots on the seven churches of Rome (the city of seven hills). Note that pre-war Intramuros has seven churches of which only San Agustin survived the second world war. 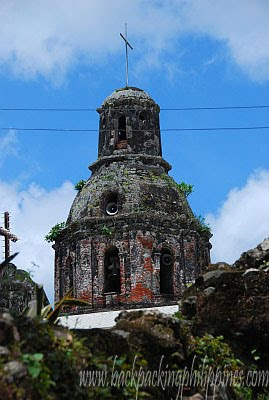 Due to earthquakes, only the belltower of the old church of Mabitac remains and no attempt at restoring the old church was made. With Antipolo Church as starting point, it's easy to board jeepneys going to the churches (commute) or simply follow the road for directions (most towns only have two main roads: one is the highway, the other pass through the town center or poblacion). The route is clearly visible on various maps of Laguna and Rizal provinces. No pictures in this post? how much per head if will avail visita iglesia rizal? My girlfriend and I are planning for a "bisita iglesia" this holy week... We'll be starting from Alabang up to Laguna area, Im planning to go to Majayjay church... Is there anybody out there who can give me some details or idea regarding this? I have some list here, hope you can contribute and i'll find ways to make it to that place..
1. Alabang church in ATC area.